I can vividly remember the first time I was briefed about the concept of Cloud961 by our managing director. Back then, I had no time to even think about anything outside of the realm of the first Social Media Awards (SMAs) in Beirut, which were coming up. There was just so much to do. I must say I was skeptical about how the concept of the magazine would be received by the online community and digital agencies in Lebanon, knowing how the local vibe is generally tainted with competition and jealousy. At that point, Cornerstone PR, the publisher of the magazine, wanted to sponsor the SMAs, but did not want to be a traditional sponsor with brochures and roll-up banners related to their work. They wanted to give back to the online community and put their voice through a louder speaker, and attract a relatively traditional audience who still believes in print media. Cloud961 was born on April 30, on the night of the SMAs, as a gift to the online community in Lebanon. We started with two staff writers, few contributors, and 24 pages. In one year, our team has grown to encompass more than 30 writers and contributors, in addition to a full-fledged marketing and management team, constituting one of the biggest magazine teams in the country. Our second year will witness even more expansion, for we will hopefully launch two independent monthly issues in UAE and KSA. 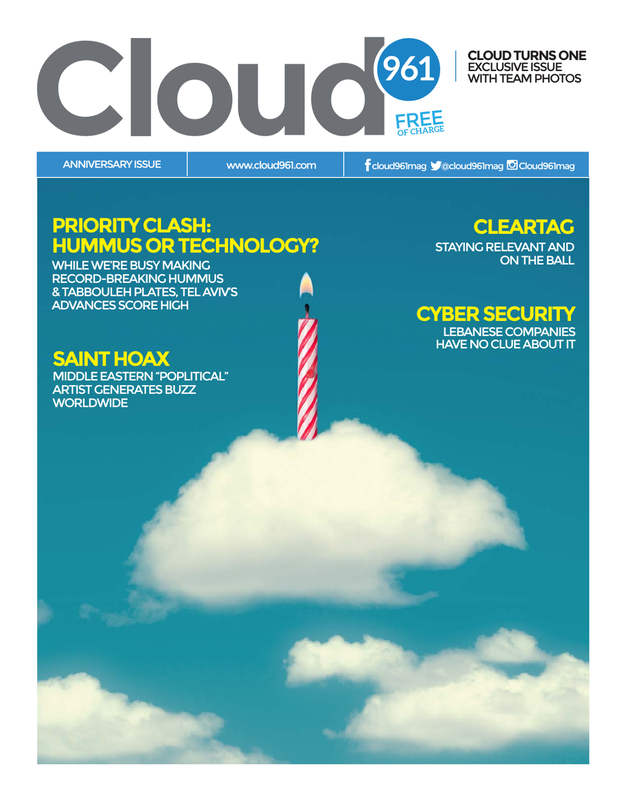 Despite that some of the agencies insist the purpose of the magazine is to steal their clients (mostly because they are insecure about their capabilities), Cloud961 has been well received throughout the online community in Lebanon, and it has turned out to be worth the while. In one year, We have distributed over 20,000 print issues and received a whopping 280,000 online downloads. Over the past year, we have learned a lot from the community’s feedback. The quality of our articles has improved substantially and our design has become more appealing. It is thanks to your feedback that we are introducing with this issue a new layout, with a smaller page size and an improved magazine feel, for a more practical reading experience. Cloud961 will always be the online community’s magazine. Raising its issues, defending its rights, and promoting its people are our priorities. Due to the generous investment of our publisher and the trust of our advertisers, we are entering our second year while remaining free of charge for both print and online versions because we believe that access to information and knowledge should be available to all. On behalf of the whole team, I would like to thank our readers for their tremendous support, and our team for the great work that they have been doing. Cheers to Cloud, a second year full of success, and to the online community! A version of this article appeared as my editorial in the 10th issue of Cloud961. You can download the issue here.